…well, not totally impossible. 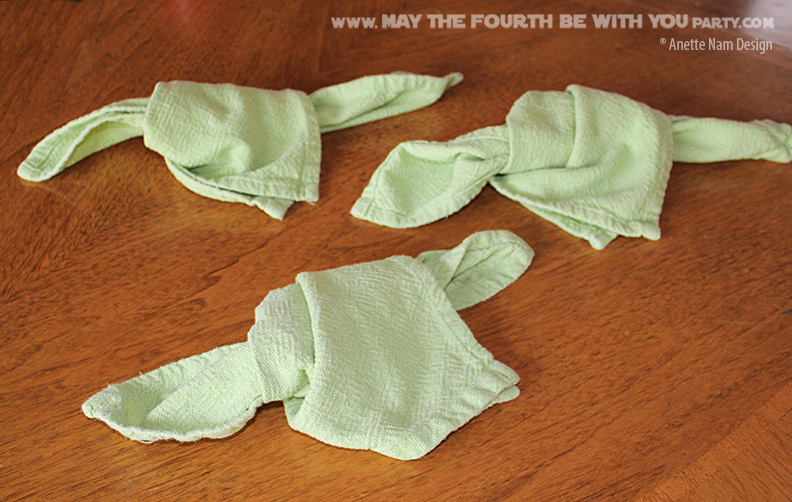 Kids are messy, and there will be spilled Bantha Milk at any good party! Having additional napkins that are more absorbent than the printed paper ones from the store (which look really fun, but aren’t very functional), are always a really good idea. Easy folding these, it was. Enjoyed by the kids, they were. AND, environmentally friendly, of course, they are. The napkin, in half (into a triangle), fold. A knot in the middle, make.